The other day, I was running low on toothpaste and zipped off to the drugstore to get some. While I was there, I was having a casual browse through the cosmetics aisle (as us beauty lovers have want to do), and I spotted the new Essie Neons 2014 display. The gravitational pull was instant! 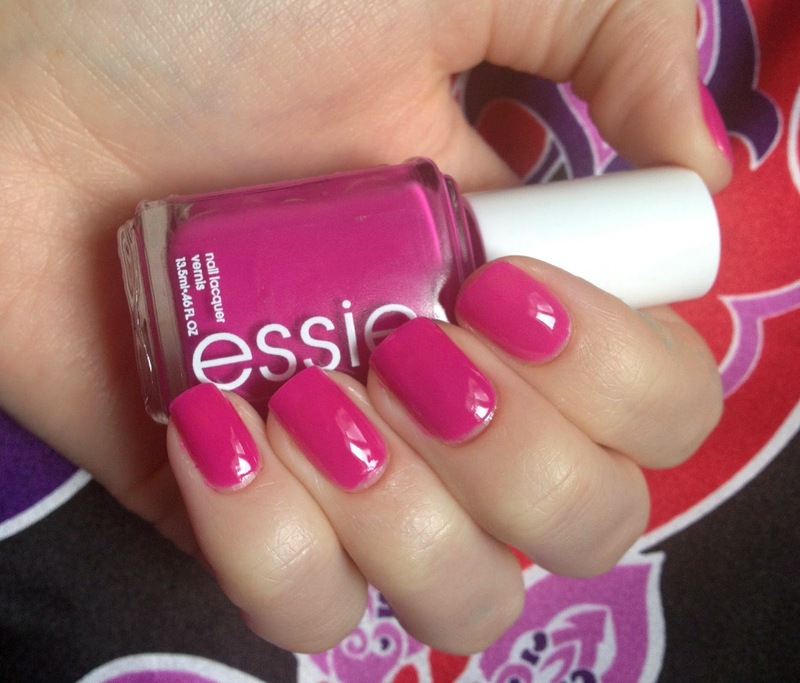 I grabbed a polish in the shade "Too Taboo"- a bright fuchsia that had my name written all over it. The photos of this polish don't quite grasp the true colour of it, it has much more purple in it. The formula on this one was a bit of a disappointment for me. Essie nail polishes tend to be a bit hit-or-miss and, in the formula department, this was a miss. The first coat applied extremely unevenly and streaky. The formula was a strange watery-jelly mix that is hard to explain. If you try to apply another coat before the first coat is completely dry, you get a lot of balding and pulling - ew! Not a cute look. 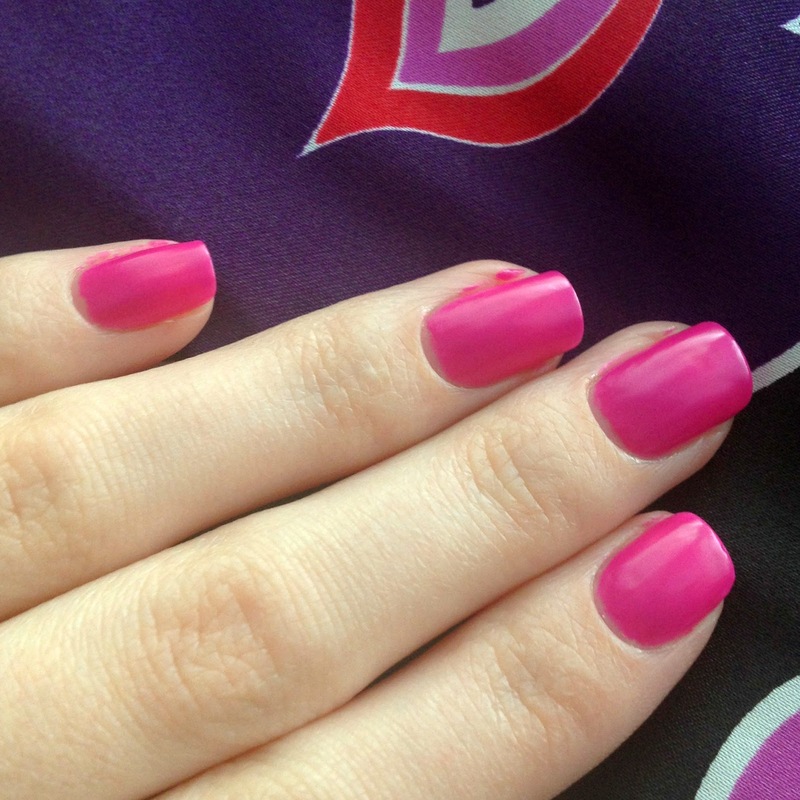 Like a lot of neon polishes, this dries to a semi-matte finish (shown below) and it dries quite quickly. A nice shiny top coat brings the colour to its true glory! Overall, I like this polish. My adoration for the bright colour (I wouldn't exactly say it was a "neon", however) trumps the frustrations of the formula but stops it from being a love. Not sure if I'll be rushing out to grab any others from the collection anytime soon.